Amidst the diversity of CSS measurement systems it can be difficult for web developers to understand which units to use where, and when, on their pages. The instinct is to use just one system for everything, but that decision can severely limit the execution of your designs. 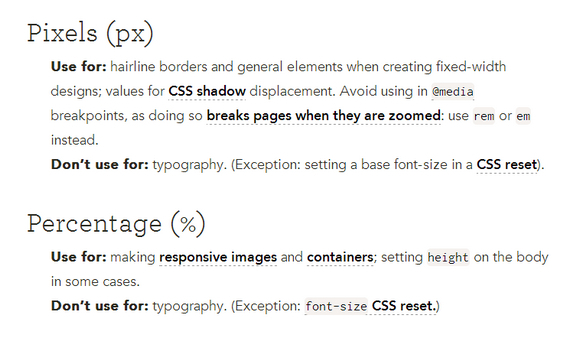 The article: Which CSS Measurements To Use When, is a list of suggestions, not absolute rules.